At one time I’d found an article on the web where the members of Big Pig gave the translation of that phrase, but for the life of me I can’t find it. Maybe it was Aboriginal in origin? This week’s mix is back to basics. Sometimes I tend to over-think the tracks, but really, this is what a typical episode of the show sounded like. This is why we had an audience. 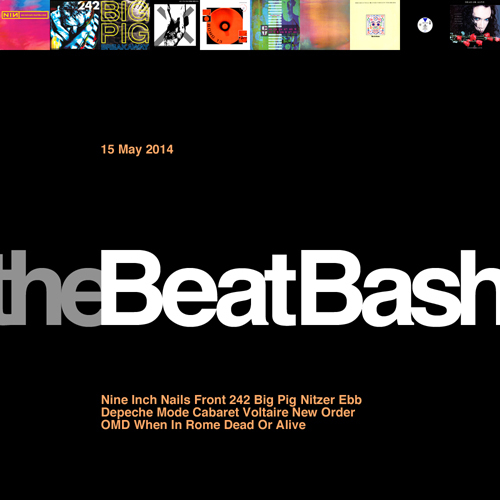 Categories: The Beat Bash | Tags: Big Pig, Cabaret Voltaire, Dead Or Alive, Depeche Mode, Front 242, New Order, Nine Inch Nails, Nitzer Ebb, OMD, When In Rome | By: Jeb. Powered by WordPress 5.0.4. using the Disconnected theme by Adam Freetly.